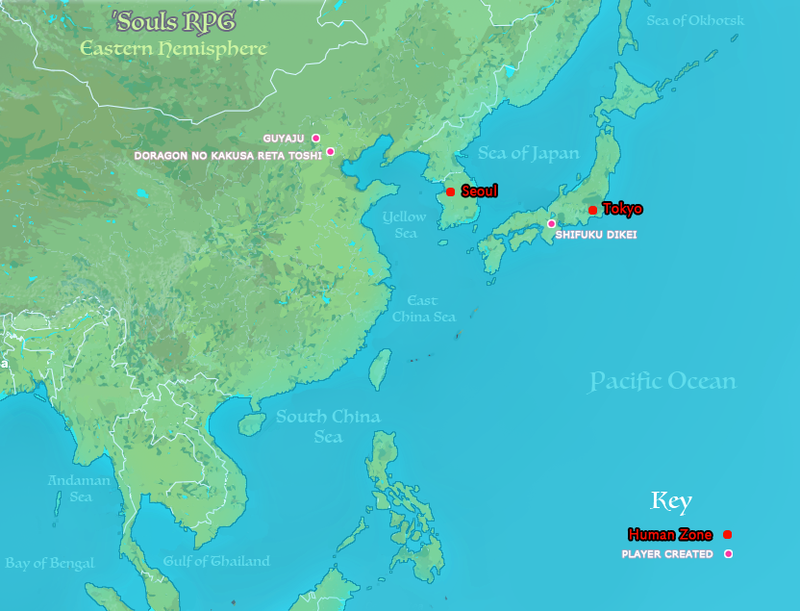 This map illustrates the entire in-game world with subterritory locations as well as packs marked off. 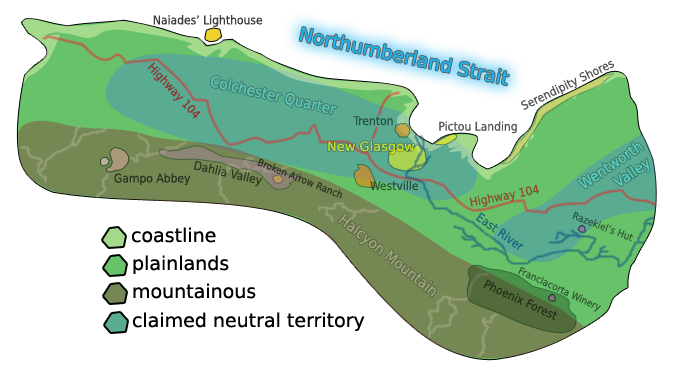 The game maps can be quite useful in helping to figure out navigation -- note that the maps have squares, and the squares correspond to ten (10) square miles or sixteen (16) square kilometers. 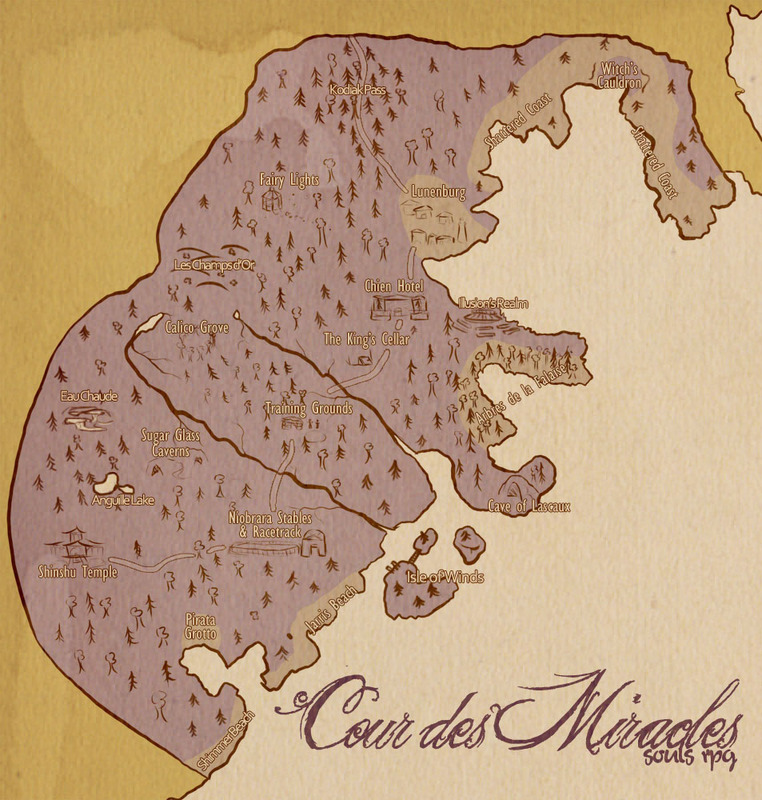 Therefore, for your character to travel across an entire square would be ten miles. 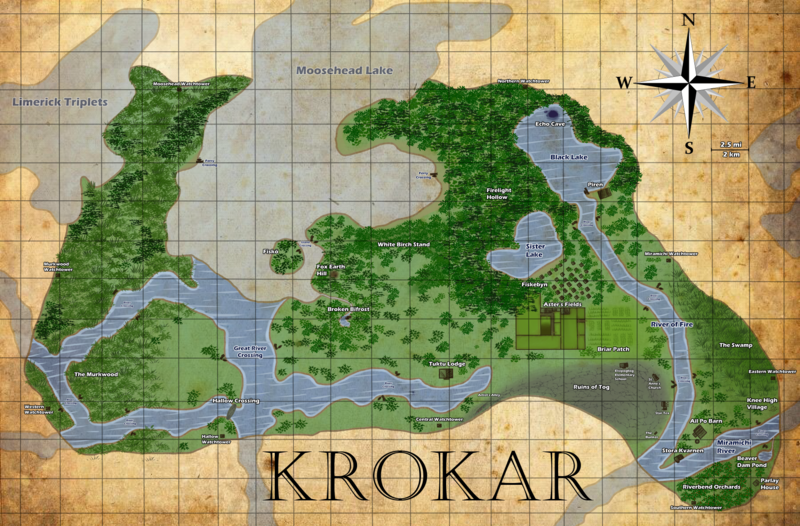 The maps, coupled with the Travel Guide can help you figure out where your character can realistically go within a given timeframe, and other useful information. 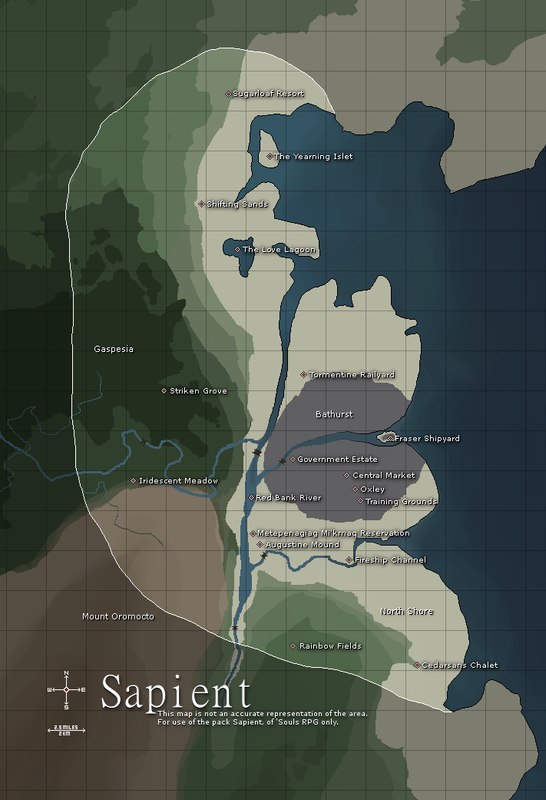 Another useful feature of the subterritory-marked maps is that the packs' territories are also marked -- this can help you figure out which subterritories are claimed and which subterritories are not claimed. 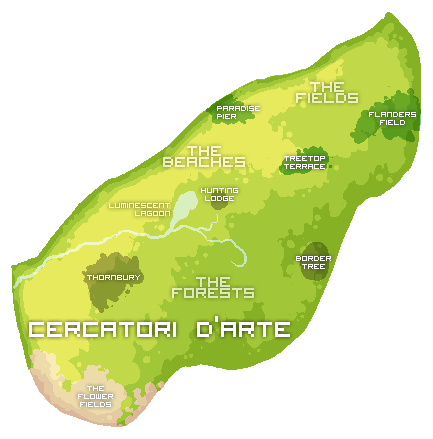 You can easily navigate to this map by clicking the Areas link in the forum header. 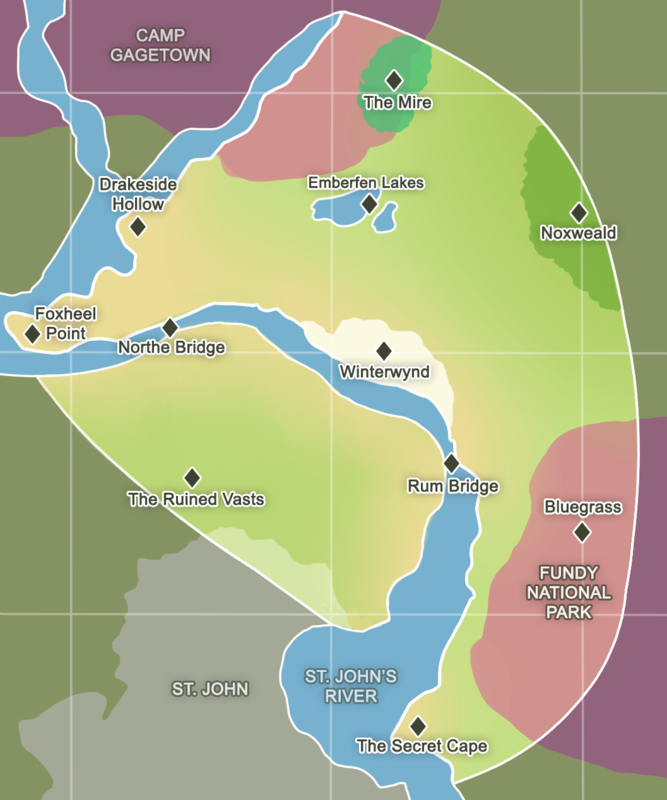 This is the same map, but with subterritories unmarked. 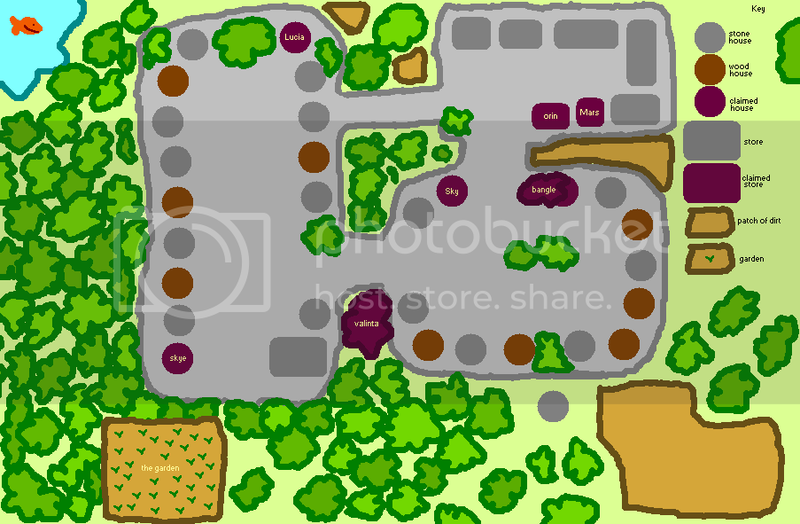 Along with the previous map, this one will probably be the most useful to you. 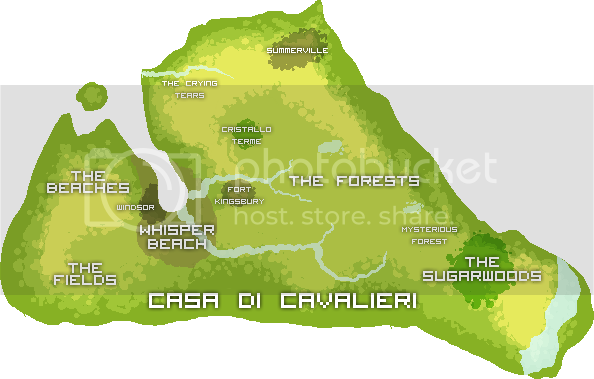 As before, you can easily navigate to this map by clicking the Areas link in the forum header. 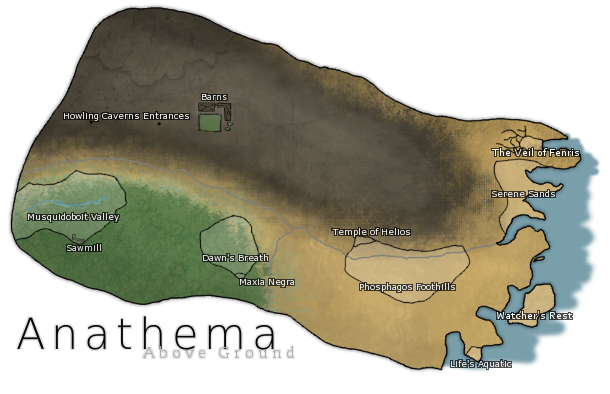 Some users may find this map more easy to use for navigation purposes. 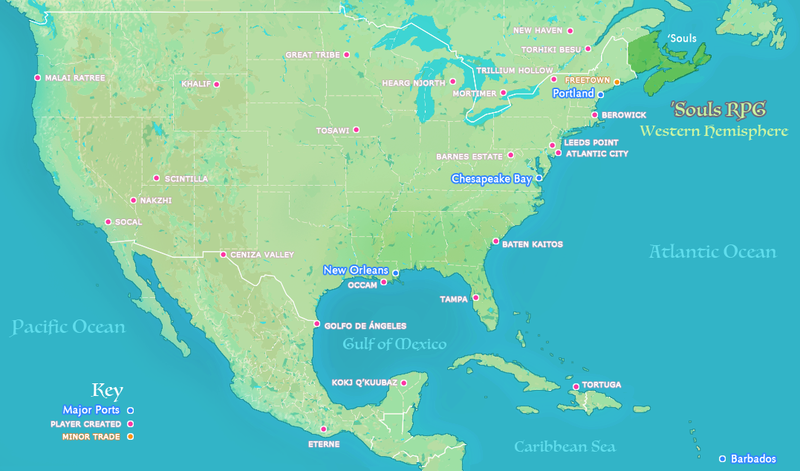 These maps illustrate the entirety of the Earth as it stands in 'Souls universe. 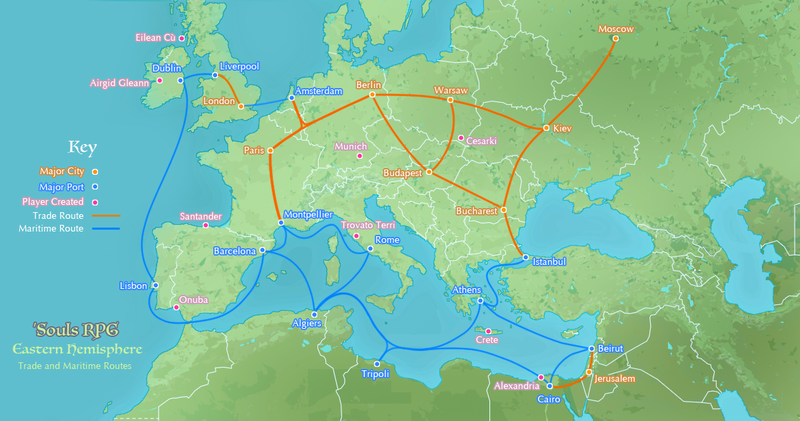 Europe, parts of western Asia, and parts of northern Africa have been considerably civilized, with some decently-populated cities such as London. 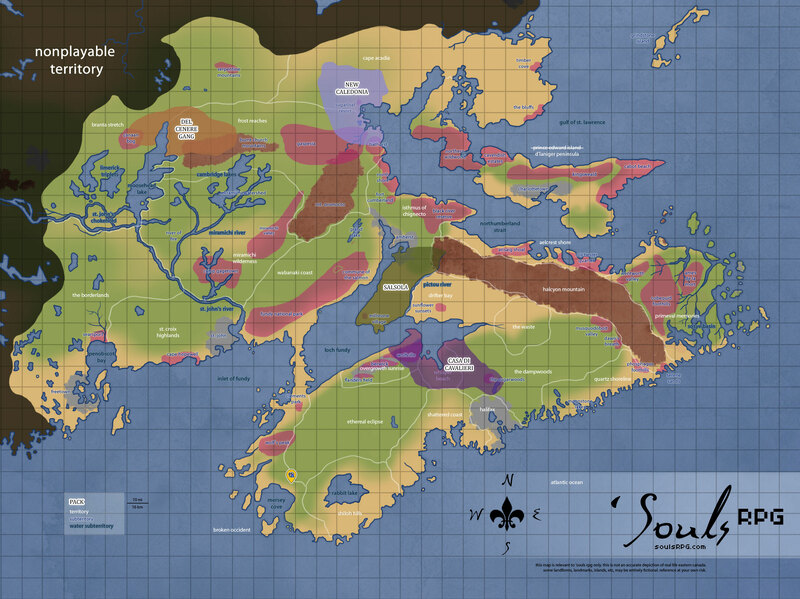 For more information about the world and the territories outside of 'Souls, see the World Territories section. 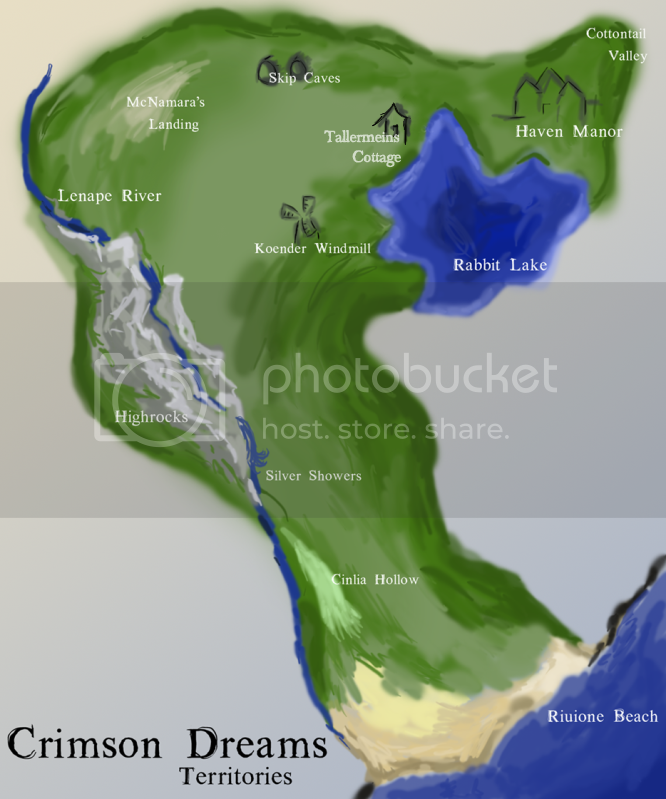 Note that most places listed have a corresponding Wiki page -- read up on that page carefully before assuming your character can originate from that area. 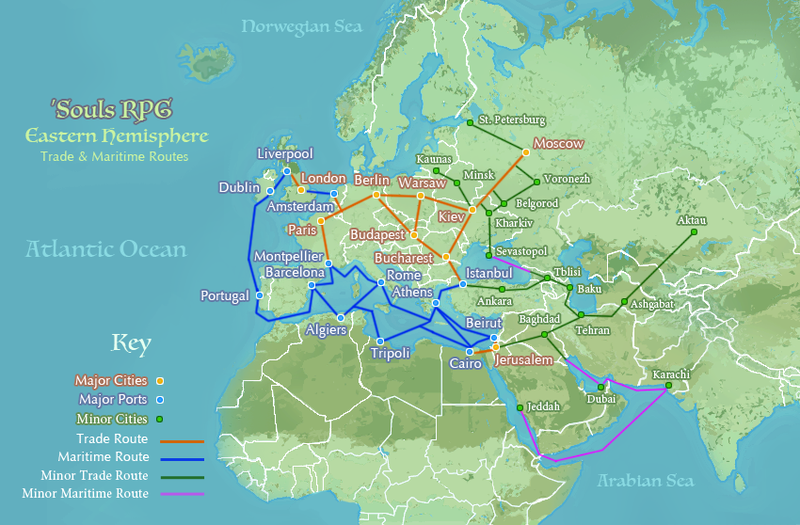 The maritime map is intended to indicate possible trading routes across these heavily -civilized parts of the world and other places; such routes can and should be used for your foreign character's journey to 'Souls. 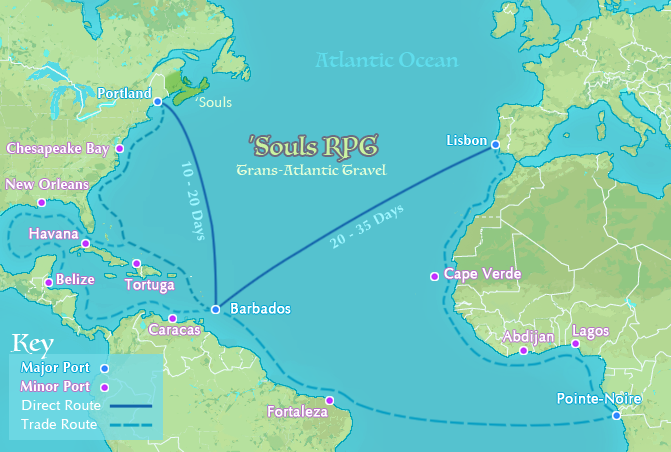 :) As the map notes, there are few boats that travel from Freetown or any other port to 'Souls -- this should be taken into consideration when crafting your character's journey to (or from, should you choose to let them travel) 'Souls. 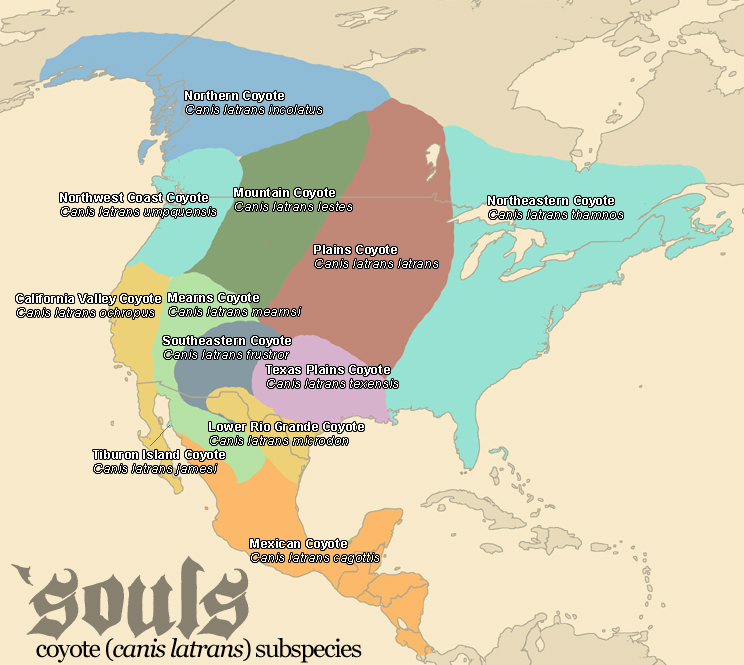 This species map illustrates many of the different kinds of canines that can become Luperci. 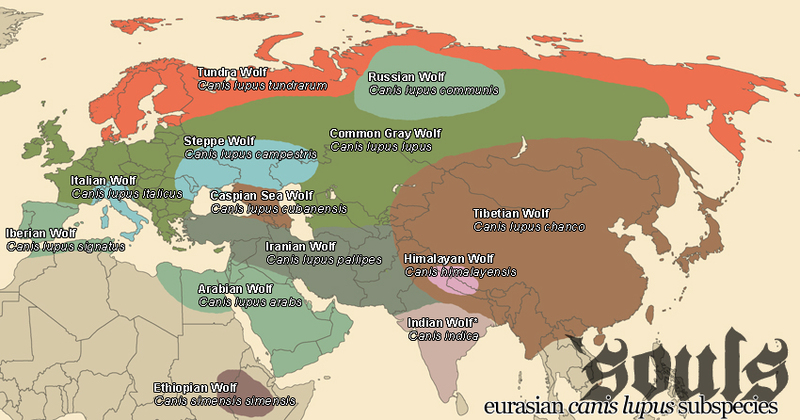 Many canines have reclaimed their original home ranges and much of their population and numbers since 1988. 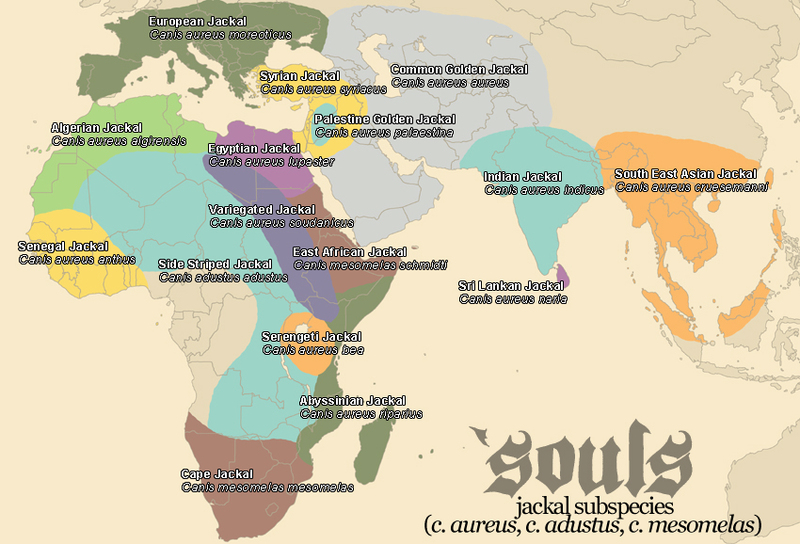 In areas where species overlap, there is, always, competition and conflict between these species. 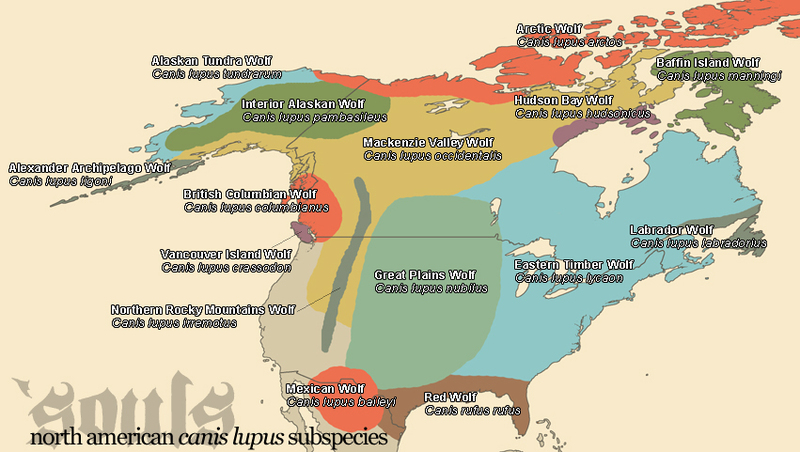 Canines from these areas may have bias against a particular species or they may be more likely to be hybrids. 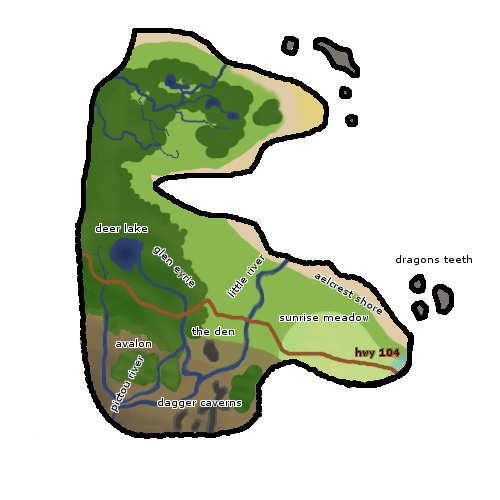 However, especially in Europe and Asia, canines migrate and travel much greater distances and ranges than they could previously thanks to new methods of travel as well as a lack of human interference.